Delivered by: Mr. Mohammad Erfani Ayoob, Minister Counselor, Charge d’ affairs, a.i. I would like to begin by congratulating you for your assumption to the Presidency of this Council, and thanking you for holding this meeting today, which is highly important for my delegation . I would also like to thank Under Secretary-General Mr. John Holmes for his typically concise and insightful presentation . And finally, I would thank His Excellency the Secretary-General for a thoughtful and comprehensive report and its annex on constraints on humanitarian access . The United Nations has brought serious attention to the plight of suffering civilians caught in the crossfire and established a comprehensive framework in the Security Council to deal with protection of civilians during the arm conflict . However , with the recent trend towards asymmetric conflicts , and the tendency of non-state actors to use civilians as human shields or worse , this work is even more essential. 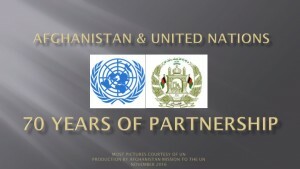 The Government of Afghanistan with the assistance of our friends in the International Community, making a good progress to provide Afghans the opportunity for a better life, while the enemies of Afghanistan are continuing to bring more suffering to the civilians of this war stricken nation. As numerous UN reports have detailed , the Taliban and their local and international allies show an increasingly blatant disregard for human life in Afghanistan .They rely increasingly on the use of improvised explosive devices detonated in high-density civilian areas, which cause indiscriminate damage and loss of life , and affect predominantly women and children. The Taliban have stepped up their use of assassinations, school attacks, kidnappings, and threats targeted against those accused of “cooperating” with the government or the international community . They continue to use civilians as human shields, milking accidental tragedy for their propaganda. The Taliban have two simple aims ; first, they want to terrify our citizens and convince them they are helpless and cannot trust the international community or their government to protect them; and secondly, they seek to divide the Afghans and the international community, weakening us both. We cannot and shall not let them succeed in either of these goals. Unfortunately , in the course of our fight against terrorism, some time civilians have become victims, however unintentionally, of our actions as well . Every civilian death hurts our cause. Each death undermines the faith of the people in their government, and weakens our most valuable asset in the rebuilding of Afghanistan : the Afghans themselves . The Afghan people rightly expect that efforts to fight terrorism would be part of a larger counterterrorism effort rather than vice versa. Their security , should be central. The best hope for the Afghan people is the continuing support of the international community, and Afghans are more aware of this than anyone . We all understand the necessity of defeating the brutally violent and dark minded elements who wage war on peace, stability and prosperity in our region and in the world. Our allies have sent their sons and daughters to fight on foreign land, and Afghanistan is profoundly grateful for this . Without the assistance of international community and their military presence, our people would not have escaped the repression and brutality of the Taliban era and would not, now, have a better future in sight. The safety of each person and the prevention of death of innocent civilians are critically important for us , and the Government of Afghanistan has raised this issue so repeatedly with our friends and allies. 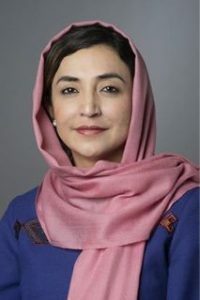 Afghans should be made to feel that their security ,safety and integrity are the centerpiece of our fight .We welcome the recent reviews on this issue, and applaud decisions by the US and NATO to improve rules of engagement in populated areas, minimize the use of air bombardment, and make human security a priority in our strategy . In addition to this Mr. President , it is fundamentally important that the international community should focus and do more on the professional training and better equipping of our growing Afghan National Army and Police forces, so that the Government of Afghanistan should take more and eventually all responsibility for the protection of its citizens. The main goal of Afghan Government and our allies to fight terrorism is to bring a better future for Afghan people . Therefore , while fighting their enemies, we must take every measure to protect them and make sure that they do not become victims of that conflict , and have the opportunity to build their lives in safety and dignity .